Kendal’s Izzy Murray is just over half way through her 192 mile Coast to Coast walk. She began the walk last week and has now trekked through two of the three National Parks en route. 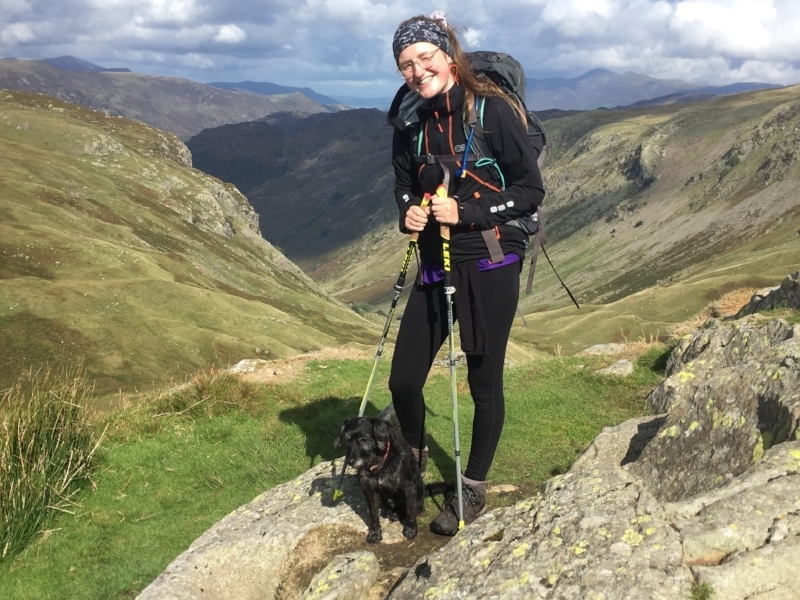 Izzy is walking the epic route to fundraise for Survivors of Bereavement by Suicide (SOBS) Cumbria, in remembrance of her good friend Helena, whom she lost to suicide five years ago. Along the way, Izzy is being joined by friends and family members every day and was joined by Ed, the family dog, who is doing a great job in keeping Izzy company (even if he does keep running off to dive into every stream he sees). “It’s nice to have different people join me along the way, it makes the walk easier and more enjoyable; the support I’m receiving from friends, family and fellow walkers is very encouraging”. Izzy has raised £1,100 for SOBS Cumbria so far. You can show your support by making a contribution to her JustGiving page Alternatively, you can donate £1, £2, £3, £4, £5 or £10 directly to SOBS Cumbria by texting 'SOBS00 £[insert amount]' to 70070; you can choose a different method of donation here.